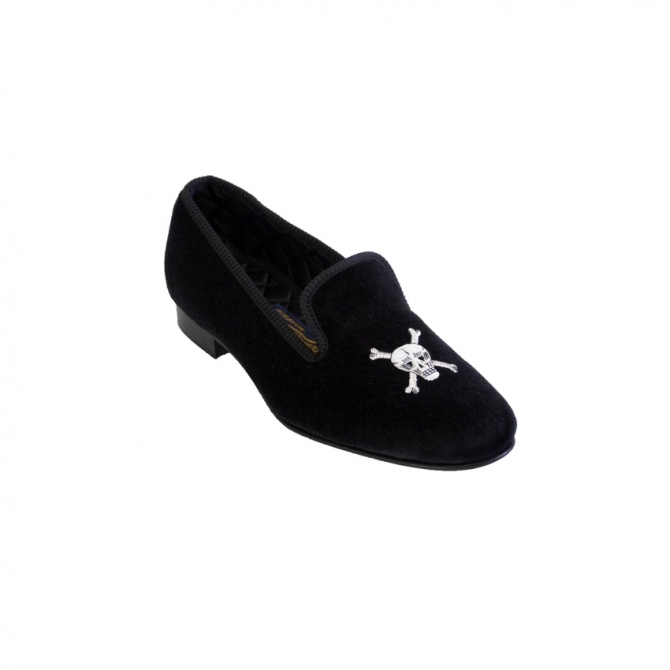 Bowhill & Elliott 7033 Black velvet house shoe with silver skull and crossbones embroidery. Leather sole and quilt lining, handmade in Norwich. The Hand Embroidered Skull & Crossbones is stitched in silver wire. Bowhill & Elliott 7033 Black velvet house shoe with silver skull and crossbones embroidery. Leather sole and quilt lining, handmade in Norwich.